When a relative dies, you may be left with shares of stock to sell. 3. Can an Executor Sell Stocks Without Changing the Names on the Account? When a stockholder dies, his family must locate the shares of stock and find a way to liquidate them. The first step is to report the decedent's death to the broker holding his shares of stock. The process may be slightly different between brokers, but usually requires you to fill out a set of forms and send in a death certificate. Once the paperwork is approved, you will be free to transfer the stock to a beneficiary's account and sell the deceased relative's shares. Contact the decedent's broker to request the necessary forms. If the stock was not held in a brokerage account, you must open a new account in the name of the decedent's estate. You will need documentation naming you as the executor of the decedent's will. Complete the forms as instructed. Depending on the broker's requirements, you may also need to have the forms notarized or have a signature guarantee from a bank attached. Request a transfer of the stock. If the shares were originally held in the decedent's brokerage account, simply request a transfer of the shares to the accounts of named beneficiaries. Once the transfer is complete, the beneficiary can sell the stock. If it was necessary to open a brokerage account for the estate, transfer the stock into the new account. Instruct the estate's broker to sell the shares of stock and distribute the proceeds to the decedent's heirs. Keep the confirmation of the sale to use when filing the estate's tax return. You must save your records for six years after filing, in case the IRS needs to audit the return. 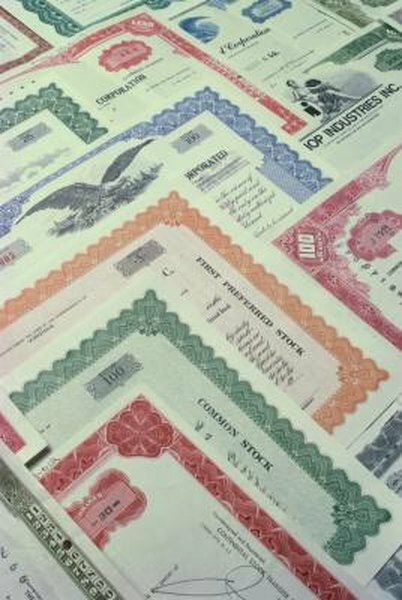 Who Pays the Taxes on Probated Sold Stocks?